Why not watch this video to learn about how the TV shows are broadcasted into your home. 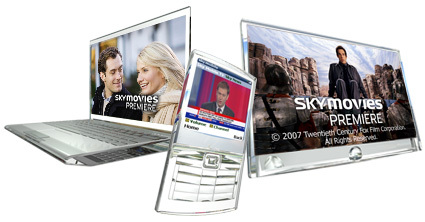 Using a satellite dish and satellite receiver you can receive your favourite TV shows in Spain, Portugal and France. 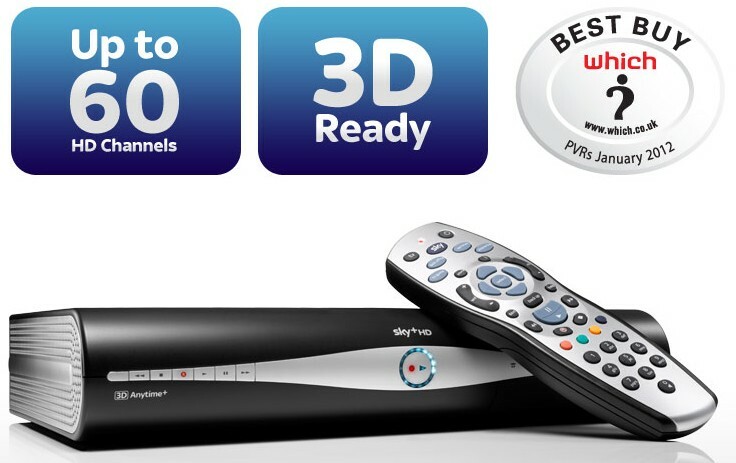 Most of the TV channels are free however you may wish to use a SKY subscription card or Setanta Sports card to receive "premium" TV channels. A new satellite, Astra 1N, will soon be located with the other Astra 2 satellites to provide UK satellite TV. Astra 1N was launched earlier this year, and has completed testing and is slowly moving into its required location, and, according to SES Astra, is expected to be operational from mid October. It will join the existing Astra 2 satellites (Astra 2a, Astra 2b, Astra 2D) and Eurobird 1 at the 28 degrees east location. SES Astra say that Astra 1N will be providing “additional” and “temporary” capacity at that location – presumably as the current satellites are close to capacity, and with more and more High Definition channels coming online, there is a need for more satellite capacity. It may also mean that some UK satellite TV channels that are currently “free to view”, may become “free to air”, meaning channels like Five* and Five USA may join Freesat shortly. Astra 1N will also be there to assist with frequency changes when the three Astra satellites are due for replacement – from late 2012 to 2114. When Astra 1N reaches its destination, you will not have to realign your satellite dish to continue reception of UK satellite TV. Any changes in frequencies to channels if and when they move or are added to Astra 1N will be made automatically to Sky boxes and Freesat boxes. As you may gather from the designation, Astra 1N is not due to be at 28 degrees east permanently. The Astra 1 designation satellites are deployed at 19 east. And so when its mission at 28 east has been completed, Astra 1N will move to its correct location in the sky, at 19 east. For expats living in fringe reception areas, until the Astra 1N satellites starts to function, it is guess works as to its reception in such areas like Spain or Greece or Italy. UNLIKE MANY SATELLITE ENGINEERS WE WANT TO MAKE IT CLEAR THAT BUYING AND USING A 1M DISH IS ONLY "TEMPORARY" UNTIL 2013 AND BECAUSE OF THIS WE WILL ONLY OFFER A 6 MONTH GUARANTEE ON ANY 1M SYSTEM THAT WE INSTALL, WE STRONGLY RECOMEND ALL OUR CLIENTS TO GO FOR A MINIMUM 1.4 DISH RATHER THAN WASTE YOUR MONEY. Over the last week or so, UK TV satellite channels on Astra 2D have been migrated over to the Astra 1N satellite. The final phase of this transfer is the migration of all BBC channels on their transponders. This will take place in the early hours of tomorrow morning (Friday 24th Feb). It will mean that Astra 2D is free of channels. SES Astra can be either repositioned to another location as a back up or possibly decommissioned. It was launched in 2000 with a 12 year mission, so it is coming to the end of its mission. No changes will be required of Sky or Freesat receivers, as, like the previous changes to ITV and Channel 4, the BBC channels will remain on the same frequencies they are currently using. They will only be “swapping satellites”. There should be no impact on viewers in the UK as a result of this change of BBC channels from Astra 2D to Astra 1N. However, viewers in the southern areas of Europe, may notice some changes. Some areas of southern Europe may find that they are no longer able to receive BBC channels with their existing satellite dishes, due to the signal footprint of Astra 1N being different to Astra 2D. In other areas of southern Europe, it may mean channels that were previously unavailable unless you have a huge satellite dish, may now be able to be received on smaller satellites dishes. How long all of this will last is really unknown. Presumably it will only last until the next batch of Astra 2 satellites are launched, with the first in late 2012. Following a successful launch on August 6 2011, the satellite is currently being moved to 28.2° East and will undergo testing before being made operational. ASTRA 1N will provide DTH broadcast services, notably digital and HD television. The satellite will first provide interim capacity at 28.2° East for the UK and Ireland before being re-located to 19.2° East after the launch of Astra 2E. Astra 1N is expected to reach 28.2° east around October 20 2011, the satellite should be taken in to service November 1, 2011. There is no confirmation on which transponders have already be assigned, though it is almost certain those to be used will be in band C (10.95-11.20 GHz). SES have already confirmed that Channel 4 has reserved capacity on Astra 1N. The new transponder will be a UK spot beam, not a Pan Euro wide beam, it will be used for Channel 4 HD. The transponder will use DVB-S2. ITV and Channel 5 may also have reserved capacity, though this has not been confirmed. Don't you just still "love" SES-Astra! frequencies were moved over to Astra 1N. 10.906 V, 10.921 H and 10.936 V.
for Astra 2D, further investigation needed! The UK and Europe are slowly waking up to the fact that my "World Exclusive" news about Astra 2D's frequencies/channels being moved to Astra 1N has happened, for instance Germany which previously needed a large or very large dish to receive Astra 2D in all but the North Western parts of the country can now receive Astra 1N and more specifically ITV's and Channel 4's family of channels with a 60cm satellite dish countrywide, all over Europe changes have been observed, some for the better and some for the worse, remember that this site told you all that this was going to happen as long ago as 21/11/11, stick with this site for more "World Exclusives" from the satellite world. Coming sometime soon my thoughts and predictions on what will happen next regarding Astra 1N and stuff!! YOU ALL REMEMBER THIS FROM 21/11/11???? Transmission on 2D will be transferred on 1N (with same parameters) next year. Exact date is not yet defined... and it concerns only our customers at the moment. Don't you just "love" SES-Astra! site, the silence really is deafening! most certainly was a "World Exclusive"
2) Stick it up your ARSE, LOO-sers!! There’s no plan to move 1KR. There is currently no public information about an Astra 2C move. New business on 1N is not public information either. However, we may disclose that ITV will start soon on 2.063 (in the coming days) and on 2.059 (in the coming weeks). 10.994 H As 'World Exclusively' revealed here this transponder will soon become an ITV transponder (unless SES-Astra have decided to change the frequency after I so kindly 'leaked' their information regarding their Astra 1N "plans"!!). There are also other frequencies which Astra 1N could feasibly use but that's a bit of a 'long shot' so I won't put them up just yet! Don't forget where you read it all first!! Yet yet again "Rob's" is the lead, the others simply feed or bleed!! Since I 'published' that e-mail SES-Astra have closed off/shut down all their information giving (not that they were very forthcoming with their information in the first place, but that's another matter! ), all anyone gets from SES-Astra now regarding Astra 1N are 'no comment', these two factors alone lead me to believe that the e-mail I received from SES-Astra is still correct and valid information. "IT'S, OH, SO QUIET!!!! "(Bjork once sang!!) It really has been oh so quiet, but the important thing for us is that it continues to be oh so quiet, so quiet in fact that I can hear the rats from the film "Ratatoulle" LOL!, but seriously it really is oh so quiet, things should have happened that have not happened, albeit SES-Astra have been a little preoccupied over the turn of the year with other things (most notably the late December launch delay of the new SES-4 satellite and also some 19 degrees east business to take care of) but even so things are really too quiet regarding 28 degrees east, this leads me to believe that something is about to happen, there should be some 'action' soon and when I say soon I am talking about possibly next week that we might start to see some sort of 'action' occurring (the week commencing 09/01/12), what that action will be remains to be seen, it could very well be the beginning of Astra 2D services being transferred to Astra 1N, it could be ITV UK activity or it could be something else!. "I GOTTA FEELING!!!! "(Black Eyed Peas once sang!!) and with what I've written above a feeling is exactly what I've got! "I gotta feeling" and I'm letting you know that "I gotta feelin" and my 'feelings' are usually not wrong!! that's all for now folks!! "I'M STILL STANDING"(Elton John once sang!!) And I am still standing by this which I originally posted here on 15/12/11 and what I posted was that ITV's 11.052 H two labels 20735 + 20745 are now showing a 'William Road' test card, this can only mean more ITV 1 or ITV 1+1 regions and I would presume that the ITV regions on these labels will come from the encrypted 12.402 V, also the UTV+1 copy which has appeared on 10.832 H (it's already available on 10.891 H) will most probably also be replaced by either ITV 1 or ITV 1+1. So with what looks like ITV's shuffling/changing of frequencies/channels in progress, I will 'predict' that the 'World Exclusive' new ITV frequency I gave you of 10.994 Horizontal will be an ITV HD frequency. and it is quiet too, nothing to declare!!!! ITV's 11.053 H two new labels 20735 + 20745 are now showing a 'William Road' test card, this can only mean more ITV 1 or ITV 1+1 regions and I would presume that the ITV regions on these labels will come from the encrypted 12.402 V, also the UTV+1 copy which has appeared on 10.832 H (it's already available on 10.891 H) will most probably also be replaced by either ITV 1 or ITV 1+1. So with what looks like ITV's shuffling/changing of frequencies/channels in progress, I will 'predict' that the 'World Exclusive' new ITV frequency I gave you of 10.994 Horizontal will be an ITV HD frequency. just remember where you read it first! AGAIN!! LOL!! !